Plasmodium Falciparum Genetic Crosses in FRG Mice | Yecuris FRG: humanized animals and human hepatocytes platform for your next great discovery. Genetic crosses in malaria parasites are important to show which genes are involved in drug resistance. Until now, it was only possible to generate these using splenectomized chimpanzees, which is ethically unacceptable. The liver humanized FRG mouse is a better alternative, since it allows researchers to quickly isolate the parasites that have successfully completed the liver stage of malaria and identify those that are resistant to drugs after subsequent in vitro selection. Modern sequencing techniques allow the analysis of the recombinant progeny from the original resistant and susceptible parental malaria strains. 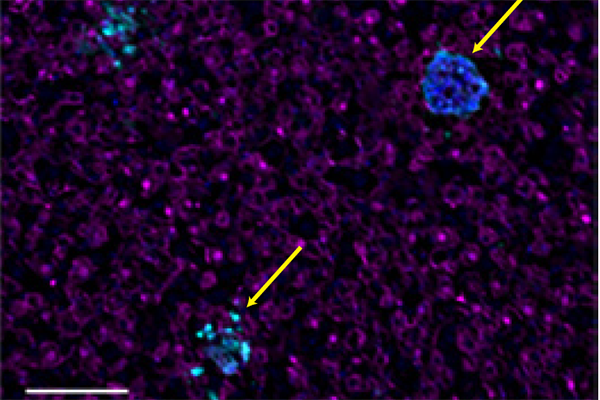 This proof of principle study shows that researchers can use the liver humanized mouse model to quickly identify which mutations cause drug resistance in malaria samples obtained from the clinic. Genetic crosses of phenotypically distinct strains of the human malaria parasite Plasmodium falciparum are a powerful tool for identifying genes controlling drug resistance and other key phenotypes. Previous studies relied on the isolation of recombinant parasites from splenectomized chimpanzees, a research avenue that is no longer available. Here we demonstrate that human-liver chimeric mice support recovery of recombinant progeny for the identification of genetic determinants of parasite traits and adaptations.